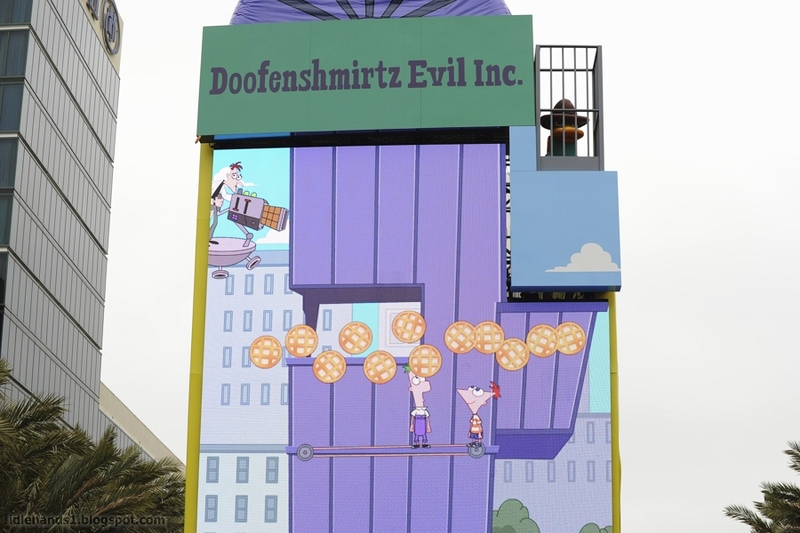 Dr. Doofenshmirtz is primed to take over Disney's D23 Expo…and the Tri-State Area with his most wacky "-inator" yet -- "The Waffle-inator" -- a spectacular 40-foot high interactive game, combining physical and digital worlds -- and simulated waffles (ARG! They are simulated!! Cheap. 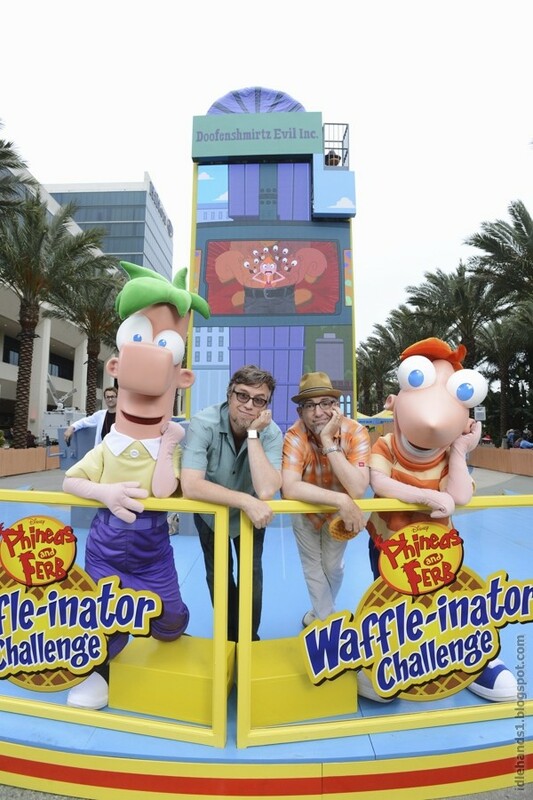 I demand real waffle flingers.) 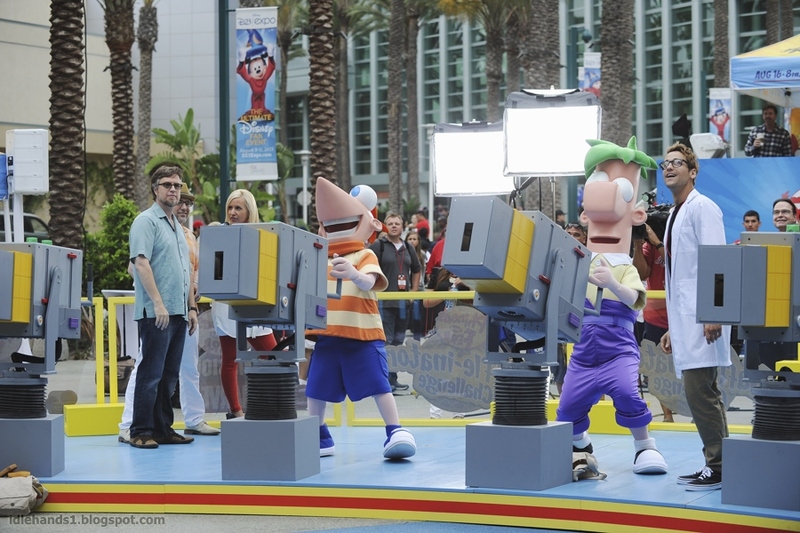 -- in an epic showdown to free Agent P from the clutches of Dr. Doofenshmirtz. 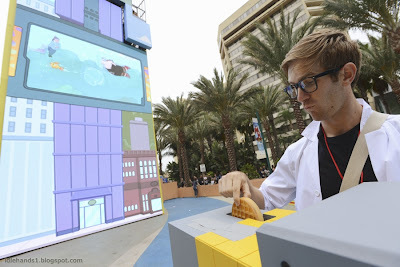 Kids, tweens and families were invited to hop aboard and wield the life-size invention to play "The Phineas and Ferb Waffle-inator Challenge," over three days at Disney's D23 Expo this past weekend. 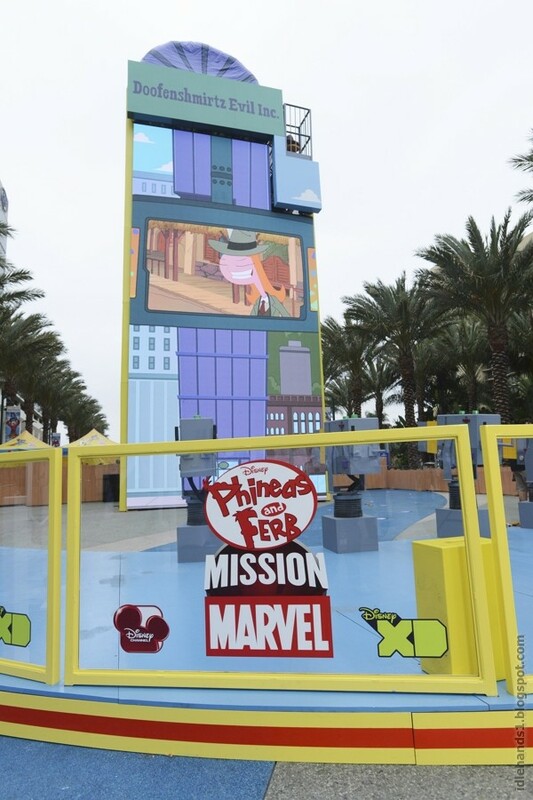 The Waffle-inator is depicted in "Phineas and Ferb: Mission Marvel," the highly anticipated event episode of the #1 animated series for kids and tweens, premiering FRIDAY, AUGUST 16 (8:00 p.m., ET/PT) on Disney Channel and SUNDAY, AUGUST 25 (10:00 a.m. ET/PT) on Disney XD. 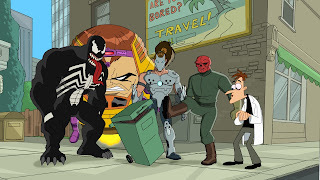 In the storyline, Phineas and Ferb team up with the Marvel Super Heroes to help them regain their powers and defeat Marvel Super Villains and Dr. Doofenshmirtz, in an epic battle of good versus evil, where the dastardly delicious device "The Waffle-inator" comes into play. 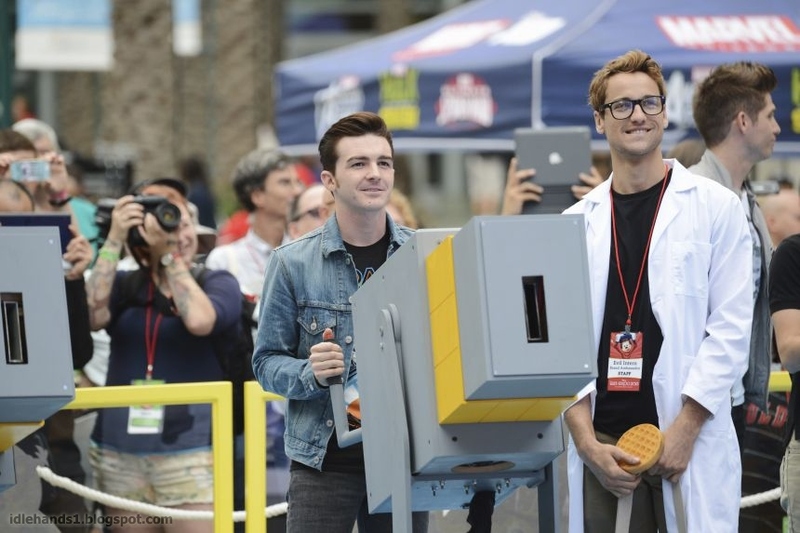 Stars from Marvel Universe – Adrian Pasdar, Drake Bell, Fred Tatasciore, Roger Craig Smith, Bumper Robinson and Laura Bailey – joined the line-up of stars across Disney Channel, Disney XD and Disney Junior who will met fans at Disney's D23 Expo, including "Teen Beach Movie," "Phineas and Ferb," "Shake It Up," "Jessie," "Gravity Falls," "Good Luck Charlie," "Liv and Maddie," "Kickin' It," "Dog With A Blog," "Lab Rats," "Crash & Bernstein," "Wander Over Yonder" and "Sofia the First."